77: How to Get Big Clients – The “Anchor Client” Strategy… Perfected! Go behind the curtain with us in this episode and listen in on one of our private group business coaching calls where I talk through how to get big clients using what I call the “anchor client strategy”. Hear how I used it to land one of the “sharks” from the hit TV show, Shark Tank and several more ideas and strategies one just this one call! So, to start, what is an “anchor client”? The concept comes from the design of retail shopping centers. Often their will be an “anchor” store such as a Target or Macy’s. That is the main store that draws in buyers and the shopping center is then able to attract other retailers due to having the anchor store in place. The same concept can be applied to your business. Think for a moment about your niche, and who the most influential names are. Names that, if other people had heard you had done business with them, they would automatically assume you were an authority. The approach you want to take is to reach out to that individual and offer tangible value. It’s all about how you can help them and what’s in it for them at this stage. In the past 30 days, I have used this strategy to open doors with Daymond John (from Shark Tank) and one of the most well-known names of all time in the personal development space, Brian Tracy. 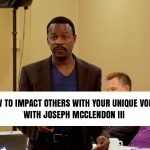 From there we shift gears to talk about Brendon Burchard’s Facebook marketing insights that I learned from Joe Polish’s $25,000 Genius Network event! Brendon dominates on Facebook, sitting at over a million Likes. Some highlights of his strategy includes 4 status updates per day, as well as having an “evergreen” marketing funnel, recycling his previously posted Facebook content (along with curating other people’s content), and strategically buying other Facebook pages! One of the massive takeaways from that mastermind what the higher level of thinking that comes from simply being in that environment and being around people who think big. Then, we bring on one of our top coaching clients, Firestarter Elite, Valerie Shoopman, dives into brand building using the anchor client strategy, adding value while networking, and our book project! So much stuff packed into one coaching call! Make a list of 5 potential anchor clients in your niche, and go after the biggest, most impressive, most intimidating one TODAY! We hope you enjoyed the “behind the scenes” call! If so, please leave a comment below and tell us what you loved! If you loved getting a little sneak peek into our business coaching calls, watch the video below to see if hiring a coach is for you. Watch “How I Upleveled my Business With a Coach” HERE!